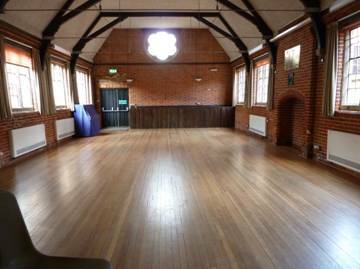 The All Saints Church Hall is ideal for classes, meetings, sales and parties. It is located on The Causeway, Marlow (SL7 2AA). It has two Halls, kitchen with cooker, dishwasher, microwave, refrigerator, counter top hot water boiler and ample crockery, cutlery, glassware, chairs & tables. The hall has an access ramp to the front door and is located at the bottom of the High Street between Burgers the Baker and the George and Dragon. There is a public car park nearby. The Main Hall is approximately 13.5 x 7.5 metres (45 x 24 feet). It features a wood effect floor, a regularly tuned piano, a pull down projection screen and hatch access to the kitchen. 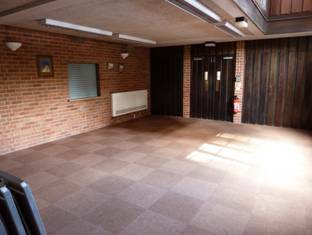 The Small Hall is approximately 7 x 6 metres (23 x 20 feet), has a carpeted floor and also has hatch access to the kitchen. Four hours for £80 that includes both the Main and Small Halls as well as use of the kitchen. Use the Main Hall for entertainment and the Small Hall for party food with child sized tables and chairs available for 40 children. If you want to have a bouncy castle then the maximum clearance in the Main Hall is 3.4 metres (approx 11’2″). 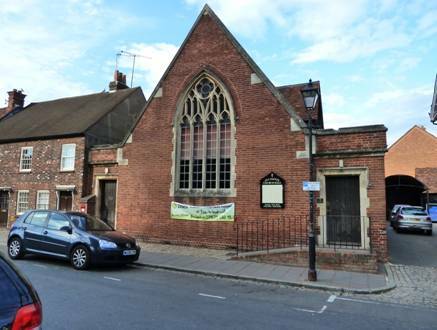 To view availability please see the church hall calendar by clicking here. Block bookings of no less than six sessions that are paid in advance will attract a 10% discount, humanitarian charities receive a 50% discount. For booking information please contact The Parish Office on 01628 481806.